I was watching a Sarah Belle video the other day and she was hauling a few Lilly Pulitzer dresses. From what I can tell, she owns a lot of Lilly dresses, which is enviable of course. She went on to further explain why she had so many Lilly dresses aside from the fact that they're adorable and very fashionable. She said that the dresses feel like they were made for her and her shape. They fit her so well, so why not buy them in multitudes? 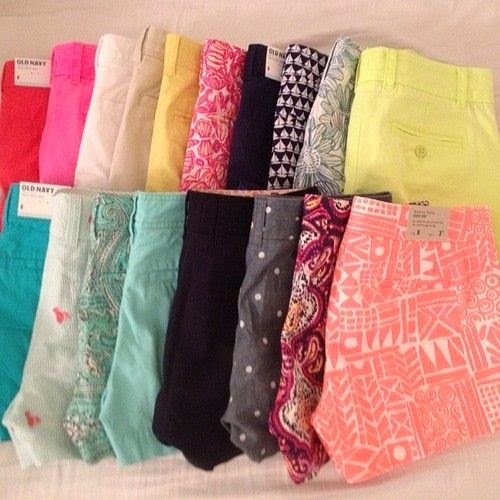 If a pair of pants fits you perfectly, why not buy them in every color? It made me think to two specific clothing items that I have multiples of: American Eagle high-rise jeggings and J. Crew 3" chino shorts. I have 4 pairs of my AE jeggings, two of which are the same color, and 6 pairs of chino shorts in different colors. Why do I have so many of each? Because they fit me well! I like the way I look in these pants and shorts, so why not get them in every available color? If I know that something fits me, I'm going to buy it until it stops fitting me. Some people buy Jack Rogers in every color because they're staples in their wardrobe. Celebrities have their favorite designer, though it might be less about fit and more about who wants to dress them. I digress, it's perfectly normal to have that one store or one designer that just gets your body type. Whether its the fit, comfort level, how flattering it is, whatever it may be, sometimes we just find those places that we want to fill our wardrobe with. 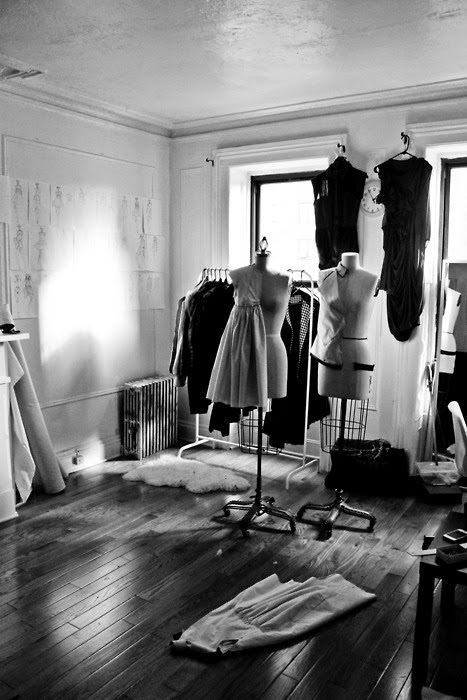 Finding a designer that you trust makes shopping all that more easier. People may say you're falling into a fashion rut, but sometimes it's okay to have a comfort zone in fashion. Even if you trust said designer, it doesn't mean you can't experiment with other things. Sure, J. Crew chino shorts are my favorite, but would that stop me from stepping out and buying shorts from another store, or just trying a different pair of shorts from J. Crew? No. It all comes down to balance. Wearing your favorite dress in a different color every day of the week isn't a sin. There are endless ways to accessorize each one to make it feel like a completely different dress! What's your go-to store or designer?